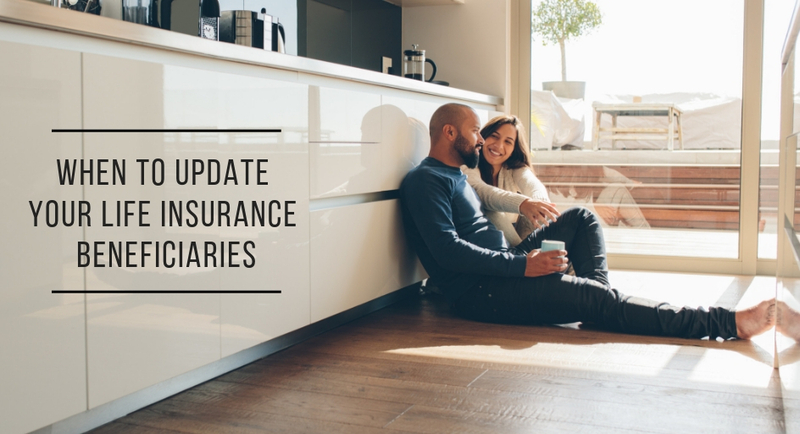 When to Update Your Life Insurance Beneficiaries - Kellon Insurance Agency, Inc.
Life insurance: you may not want to think about it too hard, but you need to. It can be difficult to consider the possibility of your own passing, but when you realize what the financial consequences of your death might be for your loved ones, you’ll realize just how important life insurance is. If you have a policy, that’s the first step. However you cannot simply let that policy sit untouched for all the years of your life. There are certain changes you may go through that would necessitate updating your life insurance beneficiaries. But what are those changes? We’ll dive into it a little deeper. When you consider the many changes your life will go through after tying the knot, updating your life insurance beneficiary might not be the first thing that comes to mind. But when two become one, often combining their finances, ensuring your spouse will be taken care of in the unthinkable event of your death is one of the most loving things you can do to secure your new life together. Many couples will change their beneficiary to their spouse once the nuptials are over. In fact, depending on where you live you may be required to. The death benefits would ensure your spouse will be able to take care of final expenses, pay off your debts, and not have to experience the burden of entirely losing their partner’s income. You may be having a child together, adopting, or taking over care of a friend or relative’s child. Whatever the case, if an important child comes into your life, you may want to take another look at your life insurance beneficiaries. Some do not recommend adding your new child to your list of beneficiaries, since they will not be able to receive death benefits until reaching the age of majority. However you can still specify to your spouse or other beneficiary that you would like the policy benefits to go towards something specific, such as your child’s education expenses. If you own a business with partners, it is possible to include them in your list of life insurance beneficiaries. However, you should also consider creating a buy-sell agreement with any business partners. This will allow your business partner(s) to use the benefits from the agreement to buy out your shares in the company in the event of your death. If you wish to protect the business you have built, make sure to speak with an experienced insurance agent to ensure you have all the coverage you need to keep your business running no matter what. Whoever you name as your life insurance beneficiary, be sure to inform them right away. This is especially true if you choose someone outside your immediate family, since they may not even expect to be named in your policy. Life insurance benefits will not bring you back after you are gone, but they can go a long way towards protecting the people you care about.